Washington, DC visitors often have just one day to visit the city. They may be in town for a conference, or visiting friends locally, and the Capital city sites must be crammed into one single free day. Sadly, most choose one site, maybe two and the time is gone. Washington, DC is an emotionally charged city. It makes a world statement simply by being. It is the center of the free world. It is a city of tributes and a testimony to achieving the unthinkable by nurturing creativity with freedom. For a rich visitor experience, one should absorb some of that emotion and witness the outcome of creative minds, fueled by passion and joined in action toward a common purpose. Here are seven things to see in Washington DC that offer a rich experience and balance between monuments, museums and incredible public spaces. Start your day at the Smithsonian metro stop on the Mall. As you face the Mall, the Capitol will be on your right. This is a walking tour and will span the two miles between the Capitol building and the Lincoln Memorial – both anchors at the end of a wide, rectangular pubic space that includes the the Capitol, the Mall, the Washington Monument, the Reflecting pool, and the Lincoln Memorial, with views of the White House and the Jefferson Memorial. National Geographic has a good walking tour map, that can serve as a handy reference. 1. 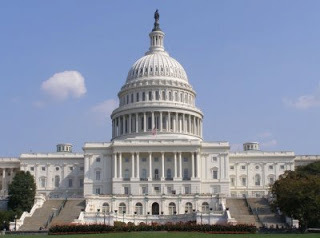 The Capitol – Walk toward the Capitol, and take notice of the House side and the Senate side (as you face the Capitol – with your back to the Mall, the House side is on the right). Also note the figure on top of the rotunda. Who is it? It’s not a warrior, not a political hero, not an Indian … it is … a woman. Simply that. She is also known as the Statue of Freedom. Climb the 88 steps to the top and absorb the view. Reflect on the images that mark the city skyline – the Washington monument, the Library of Congress (green dome), the Old Post Office (2nd highest building in Washington). You are standing in the dead center of the most powerful city in the world. All city roads lead to this building, and the quadrants (NE, SE, SW and NW) are all defined from this central point. 2. The National Archives – Descend the Capitol steps and move to the right. 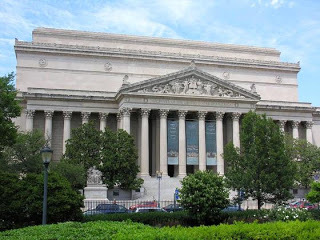 Between the National Gallery of Art and the Natural History Museum – across Constitution Ave, is the National Archives. Check out Charters of Freedom where the actual documents- Declaration of Independence, Constitution and the Bill of Rights as well as one of four existing copies of the Magna Carta are on display. Also check out the public vault which has stacks of documents, letters, treaties and hand-written speeches for public viewing. The National Archives recently acquired some Indian treaties. Read the saga of the Lakota Indians and their struggle to keep their land. 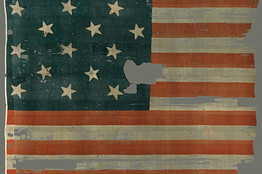 Currently (through April 2011) the Archives has the Discovering the Civil War exhibit that rivals any in the country. It details the consequences of this war and the toll it took on this country. Allow about 90 minutes here. Time for some Smithsonian visits. With only one day to visit the city, it is wiser to scope out one or two specific exhibits instead of trying to see the entire museum. Time to grab a bite of lunch – try a food stand or the cafe in the National Gallery of Art (lower level). 4. Dinosaurs at the Museum of Natural History – The Smithsonian has some excellent online maps to help you identify the museum complexes on the Mall. Snag a map of the Natural History Museum floor plan and go directly to the Dinosaur and Fossil display on the main level. (Turn right at the African elephant). This is one of the largest collections of reassembled dinosaur bones in the world. Impressive! Spend one hour here. 5. The Star Spangled Banner at the Museum of American History. Enter the American History Museum and go to the second floor. The Star Spangled Banner exhibition is new and shows the actual flag that flew over Fort McHenry during the last battle of the War of 1812. The same flag Francis Scott Key spied as he watched from a ship in the Baltimore harbor and was inspired to write the down the words that became our national anthem. The flag is over 30 feet long. Most are surprised by its enormity. The interpretive signage and self guided tour allows the visitor to understand the history of the flag, the designer and maker, the family who cared for it after the battle, U.S. President who clipped out a star as a souvenir gift, and the history of the anthem the flag inspired. Allow at least one hour for this tour. 6. Walking Tour by the Reflecting Pool. As you make your way to the Lincoln Memorial, spend some time taking in one of the most magnificent public spaces in the country. Notice everything along the way. Everything in Washington has meaning. The Washington Monument dominates the view. The tallest building in the city is dedicated to George Washington, and there is a city ordinance that prohibits any building to be taller. The White House is opposite the great obelisk on the right. Stop in front of the reflecting pool and view the Lincoln Memorial as a tiny reflection framed by trees that line the pool. Walk along the right side of the pool (Constitution Ave side). As you move toward the Lincoln Memorial, imagine this every acre of this area covered with the thousands of people who marched for freedom when Martin Luther King delivered his “I Have a Dream Speech.” Nearing the Lincoln Memorial, wander over to the Vietnam Memorial, so well blended into the landscape that it can be easily missed, but compelling- if not heartbreaking upon closer inspection. 7. The Lincoln Memorial – As a native Washingtonian, I rank this as the best site in the Nation’s Capital. It’s the perfect climax to city tour and is best experienced at dusk – or better yet, at dark. As you climb the steps, note that the 36 Doric columns that surround the building represent the 36 states in the Union at the time of Lincoln’s death. 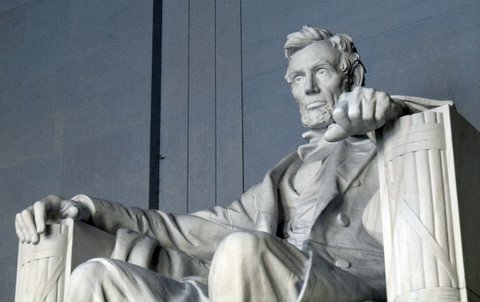 The mammoth size Lincoln sitting in the chair is meant to mirror the giant public image Lincoln possessed in his day. It also represents the two sides of Lincoln. Lincoln’s left side shows his eye giving a cold stare and his hand clenched, representing his resolute conviction to keeping the nation undivided. Lincoln’s right hand is slack and his right eyebrow raised thoughtfully showing his sensitivity and love for all Americans, north and south. Finally, notice the Gettysburg Address engraved on the wall. Read it aloud. Even the subtlest whisper can be heard throughout the memorial. People will fall silent, almost reverently as they hear you read, even if you’re only reading to yourself. Want to stop all the tourists in their tracks? Have a child read it. End you day by walking completely around the Lincoln memorial and take in the views; the full image of the Washington Monument shown in the reflecting pool, the Jefferson Memorial’s domed roof across the tidal basin, Arlington Cemetery and the Lee Mansion – and if you look closely – the Iwo Jima Memorial can be faintly seen in the distance. All of these are doubly powerful when viewed at dark. The magnitude of emotion these views generate in all people can be overwhelming. If you start in the morning and allow time for lunch and dinner, this full day can be accomplished with ease and the only cost is meals. All DC attractions are free. Remember … always get the biggest squeeze out of your travels.